Estimated Class 4, fails Class 3 on >10% hardstanding within 10 metres. Marginal on shadow at 20 degrees in which case Class 5. Unstable site. UHI, very close parking and coastguard building, new large building overlooking. I’ve seen photos of this site taken especially for a previous work on met sites where I was involved. Left Google image about 2000, right about 2005. If that looks wrong, look closely. Coastguard premises have extended and behind that is not building, it is demolition. 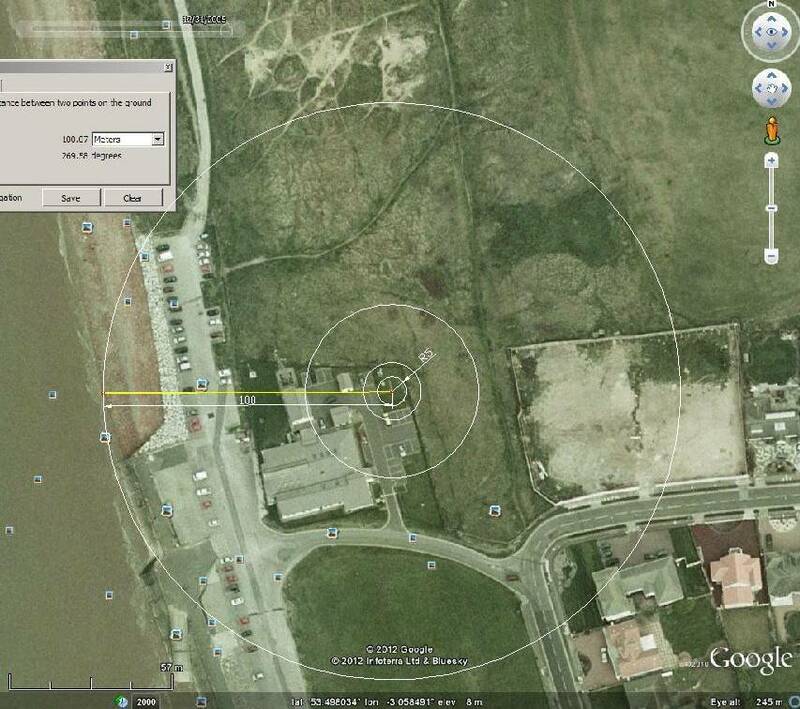 Notice the little square between the coastguard centre and the demolished, go the Google Earth and access that photo (can’t show, copyright). Accessing council documents and I expect the local paper will reveal all. Or Street view will do. I’ve not been closely following the daily extremes but since I did notice this one. Couple of hundred miles south of Crosby it peaked at 20C here, sunny all day, yet coastal sites are usually cooler. (with Met Office exceptions such as Solent, another sun trap with shelter from the wind, or Wisley, or Brogdale, or St James’s Park or a long list, I’ve only covered a few). A reasonable picture here Tim.